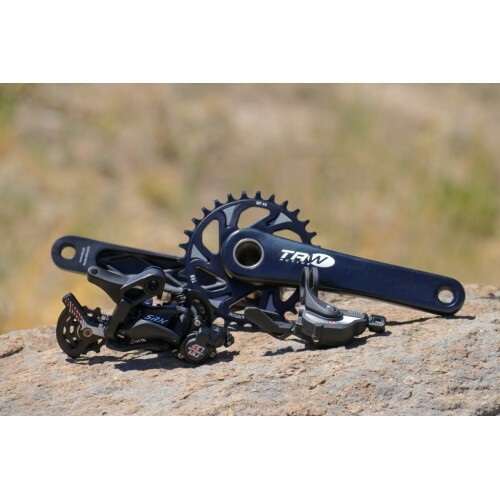 The TRW2 1x11 speed groupset is a complete mountain bike drivetrain, including shifter, derailleur, crankset, chain, cassette, and bottom bracket. 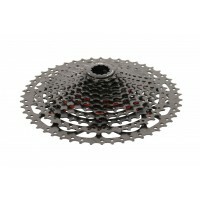 This drivetrain will work on new bikes, as well as most existing mountain and commuter bikes. 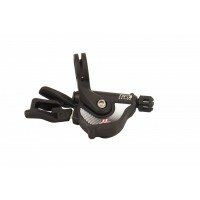 It features alloy and steel construction for strength and durability, as well as easy adjustment on all components. 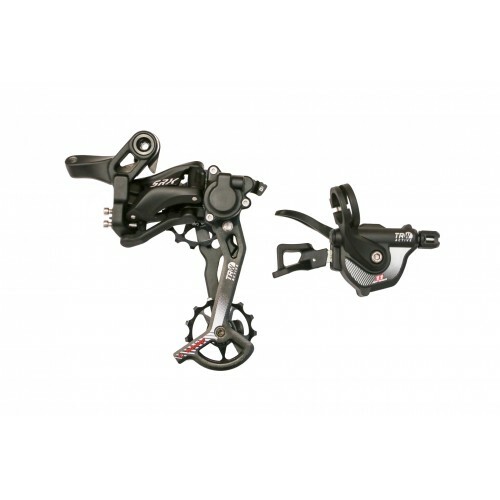 This drivetrain has the range you need for all day riding over serious terrain with rock solid reliability. 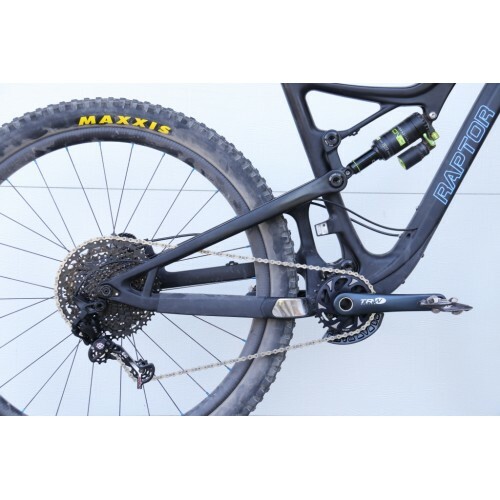 So, whether you are building up a new trail or enduro bike to shred the mountain, or upgrading your existing ride to 1x to give it new life, this drivetrain will get the job done. 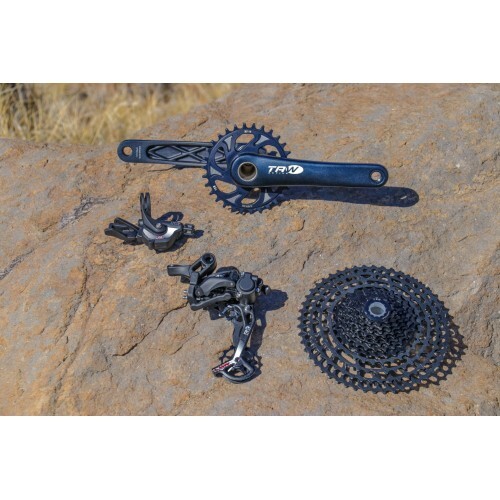 We are confident you will enjoy these components from your first ride aboard them, and we back them up with a 2 year warranty against defects as well as a low cost crash replacement program. 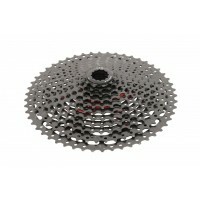 We want you out riding on our components and we want you to tell others about them as well. o Forged crank arms with high strength steel spindle, direct mount chainrings, & adjustable bearing tension. 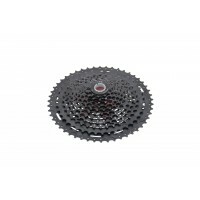 o 11 speed high strength chain with hollow pins and a quick link for easy maintenance. 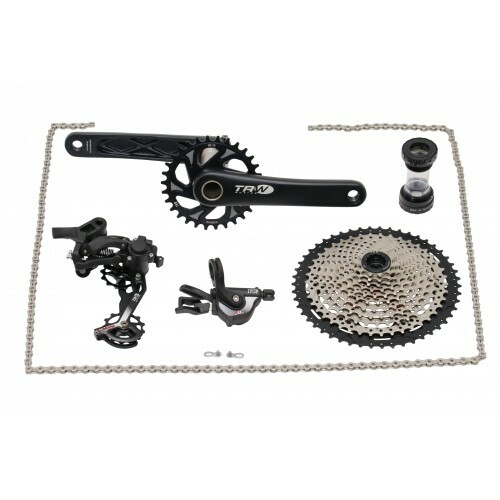 o High quality bottom bracket in either BSA threaded or BB86/92 press fit.